Supporters of the Henry Center may be interested in the coming lecture hosted by the Jonathan Edwards Center at TEDS. 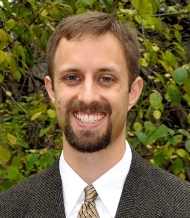 David Barshinger, a PhD candidate at TEDS, will be giving the second lecture in the “New Directions in Edwards Studies” series on the significance of the Psalms in Jonathan Edwards’ gospel-centered, Scripture-saturated ministry. The lecture will be on February 23, 2011 at 1pm in the Hinkson Hall on the campus of TEDS. The event is free and all are welcome. FREE COPY of the 5-volume set: Owen Strachan and Douglas Sweeney, The Essential Edwards Collection (Moody, 2010) to the first five attendees to arrive at the lecture! While Jonathan Edwards is hailed as a great theologian and philosopher, few remember him for his exegesis of Scripture. Yet every day Edwards delved into the Bible, searching for a deeper understanding of God and divine things; indeed, the Scriptures saturate Edwards’ sermons, treatises, and several notebooks he kept for personal study. Looking at Edwards’ engagement with the Psalms, one of his favorite books of the Bible, reveals that his writings were infused with Psalmistic language, that the Psalms deeply informed his theology, and that the Psalms provided Old Testament support for the gospel thrust of his ministry.